Photo courtesy of Susquehanna University. PennLive - Cedar Cliff graduate Jordan Duras played in four games as a freshman last year at Susquehanna University. The linebacker had three tackles and a half sack for the Crusaders. The business administration-marketing major gives PennLive a look at how he sees the upcoming season as Susquehanna tries to improve on last year's 1-9 record. 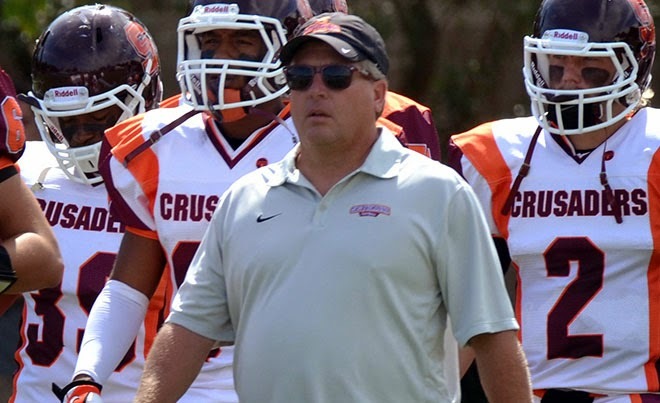 The Crusaders were picked to finish ninth in the Division III Centennial Conference. Local players: OL Don Bair, Mechanicsburg; LB Jordan Duras, Cedar Cliff; SE Derek Herr, Conestoga Valley; DB Scott Maronic, Cedar Cliff; SE Mike Micozzi, Cocalico; DE Logan Murr, Manheim Twp; DB Troy Spencer, Lower Dauphin.